In previous panels: Griffy notes that he and Zippy never look older. Zippy notes that Nancy and Sluggo have never aged. 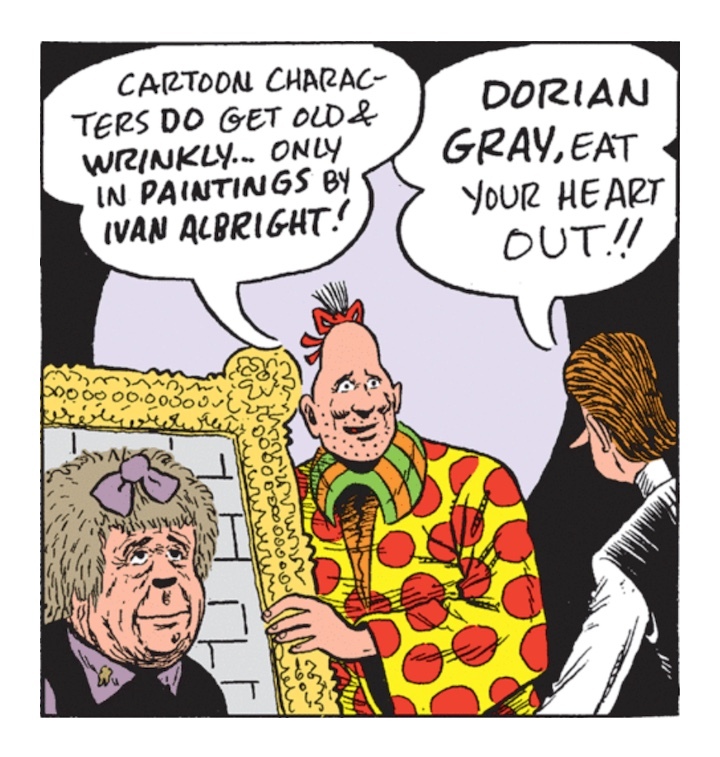 Griffy notes that the characters in Gasoline Alley aged. Why don’t all comics characters age? Zippy says that the answer lies in his attic. Ivan Albright’s painting Picture of Dorian Gray, created for the 1945 film The Picture of Dorian Gray, hangs in the Art Institute of Chicago. You can read Zippy every day at Comics Kingdom.